Lumia 925 is one of the most beautiful devices that Nokia released in the recent past. Came with a nice metal frame on the edge which is also slim, 4.5 inch AMOLED display and only available in three colours, White and Grey and Black. The device made a huge impression on Nokia’s design skills. The same design language went on to become the base of the Lumia 930 icon design, the current title holder of the most desirable Nokia smartphone. Interestingly it has stopped being sold in the Kenya market by the major retailers. Devices that were announced before it like the Lumia 920 and Lumia 820 still sell in the shops, at-least going by Nokia’s main retail partner Midcom. Lumia 620 is a famous mid range phone that was the first to utilize dual shot feature that brings out some dazzling colour on the removable shell that is the main colour item on the phone. Dual shot is also available on the new range of Asha phones, Asha 500, Asha 502 and Asha 503. All the Nokias, whether with removable cover or not have the colour in the back. Change the back covers and you have a different colour phone, kind of like the KSP for Nokia phones. Lumia 620 died off after a successor, Lumia 625 came in and immediately the 625 which was both smaller in size and pricier got lost there somewhere. 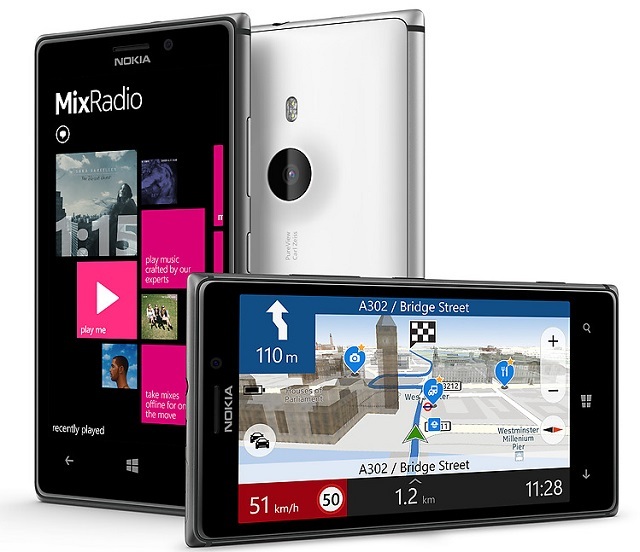 Lumia 720 was one loved smartphone because it was an affordable mid range that brought the sleek in Lumia smartphones. Before it there were just thick and heavy Lumias. Lumia 720 showed them how to be elegant. The design has since gone over to the Lumia 1320, Lumia 625 and Lumia 720. Lumia 720 had one shortcoming and it was limited and non-expandable storage, RAM also came in there as another ans screen resolution. But it was a looker and stood out nonetheless. Asha 501 was the first Asha running the overhauled Asha platform that came as a result of merging Series 40 OS and Smarterphone to basically enhance what Asha phones are capable of doing. Asha 501 was succeeded by the Asha 500, Asha 502 and Asha 503 late last year and these came with a new OS update. Asha 501 was to get the same update to keep it at par with the newbies, but one would never look at it the same way as before. The newbies all came with new looks, the Ice look that is as a result of dual-shot feature from the Lumia 620 that is a blend of two colours on the shell. You know the target market, the youth love something flashy. Not exactly a smartphone, that Asha 210 is another beauty that went silent. Running on Series 40, it came with features like Slam share and voice guided selfie, a feature that is bound to interest in that while missing the front camera, you get ability to take selfies with the camera itself telling you when you are chopping the face and corrects it. Even with it’s great design and colours, the Asha 210 is no more and has left the touch Ashas and Asha 205. Guess it’s the cannibalization thing, huh? This would apply to several of the others I have listed up here.